Yumi Hara studied medicine at the University of Tsukuba in Japan and practised as a psychiatrist for eight years before moving to the UK in 1993. In 1999, she graduated in music from City University in London with a first-class honours degree specialising in acoustic and electroacoustic composition and performance (piano). She also undertook extensive study of non-western musics. She has completed her PhD in composition at City University under Rhian Samuel in 2005. She was SPNM (Society of Promotion for New Music, currently Sound and Music) shortlist composer in 2004-05 and 2005-06 seasons and has received a number of awards including a prize in the Continuum Ensemble Improvisation Competition, Sculpted Sound competition and the British Medical Council's Laboratory of Molecular Biology Fanfare Competition to celebrate the 50th anniversary of the discovery of the molecular structure of DNA. Her music has been performed by, among others, PianoCircus, Ensemble Bash, Jane Chapman and OKEANOS in concerts and festivals in the UK and Japan. 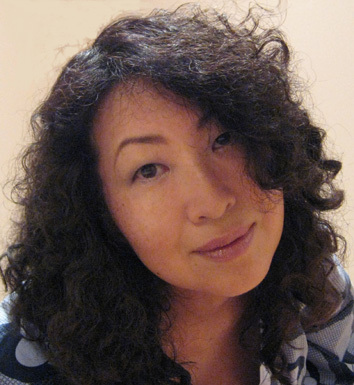 She has led voice improvisation workshops for the Yokohama Boys and Girls Chorus at the ISCM World Music Days in 2001, taught music production to young offenders at the Islington Youth Offending Centre and gave a paper on The Oral Traditions of Japanese Blind Mediums at the University of Sorbonne in Paris. She is senior lecturer in music at University of East London, and a member of board of directors of JASMIM (The Japanese Association for the Study of Musical Improvisation).